What is a Brindle Dog? Are You Thinking About Breeding? Brindle dogs can look very impressive with different colors and markings. The brindle pattern has a tiger striped look to it or different colored patches. The color commonly consists of gold, black and brown or tan colored. The amount of each color in a dog’s coat can vary along with the different colored combinations but usually have a tri-color set. 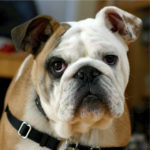 There are many breeds of dogs that contain the brindle color and markings. Brindle coats are often found to be short and quite straight. 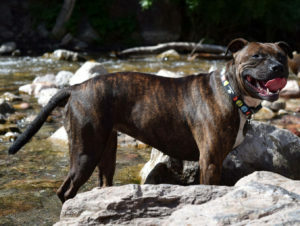 Brindle has a brown colored base, with dark brown and sometimes black stripes that mimic the look of a Tigers’ markings. Often it isn’t just lined it can have patches as well. Many dogs come in the brindle pattern, but there is only one type of breed that is being bred for the brindle coat. This is the Treeing Tennessee Brindle dog. 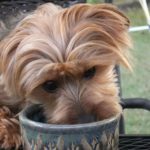 Many different breeds do have a brindle coat, but if they are long-haired, the visibility is minimized. A Dachshund and a Staffordshire bull terrier have a very distinct looking brindle coat with easy to see markings. However, a Skye terrier has such a long coat it can appear a muddy brown and gray color. The murky brown color found on the Skye terrier is how we tell it’s a brindle. The muddy color occurs on brindles but not on the sables or reds. Brindle is a differently patterned coat appearing as stripes down the dog’s body. The pattern can stand out or be very subdued depending on the coats primary color line. The stripes in all brindle breeds are generally black in color, but they can be dark brown or tan or reverse brindle. A brindle coat can either be bold with thick lines or blend in where it’s harder to notice the brindle change of colors and pattern. The primary distinction of brindle is that they often have irregular and darker than the base color of the dog’s coat. Brindle can also be identified as trundle and is often mixed up with tricolor dogs. It isn’t known what the exact reason is behind the brindle coloring. Researchers have been trying to locate the precise mutation that creates the distinctive color of their coat. It seems however that brindle is quite popular in certain dog breeds and especially those with short coats. 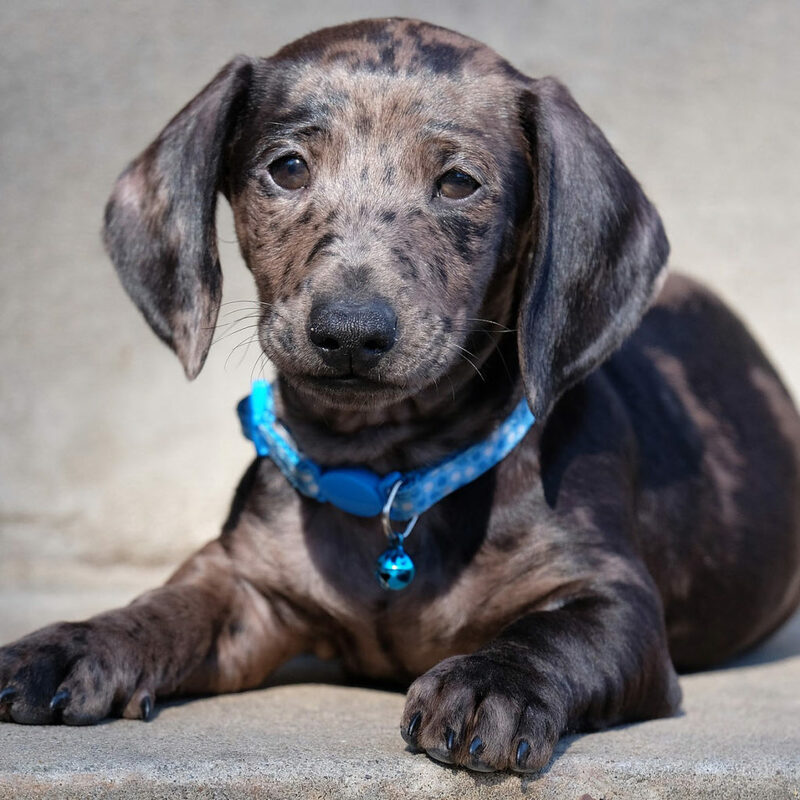 Brindle mixes black colored hairs around areas that are a lighter color like light brown and fawn. In the same category is the reverse brindle that happens when the black coloration overpowers the brown. Then the coat appears black with a brown stripe. Dogs inherit the recessing brindle gene from the parents to display that color themselves. The gene will then create either an all over brindled coat or just brindle points mixed in. Be aware some dog breeds don’t have the brindle coloring at all so bear that in mind if you have your heart set on a dog with brindle coloring. Having said that Brindle breeds are not all the same and some have large uneven tones of brindle mixed around a basic color, often white. People tend to make the mistake of putting a deposit down for a brindle dog only to be disappointed upon arrival. Most people mistakenly assume that if the parents are brindle the pup carries the brindle trait. To a certain extent this is true, but you need to make sure the particular individual dog shows the characteristic as much as you are hoping for. The Treeing Tennessee Brindle always has a brindle coat. 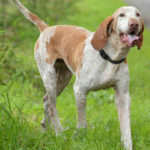 They are bred as a hunting dog and are known as quite the exclusive dog. The Tennessee Brindle breed is very good at hunting. They hunt by watching their prey and then aim to chase it up a tree where it will guard it until the dog’s handler gets there. There is a breeder’s association dedicated to the Treeing Tennessee Brindle as their coat itself is highly valued. Their coat is glossy, smooth and quite short. Their coats are always brindle, but their color combinations can vary. Most common are dark brown and black together with black and white being relatively rare. Such loyal, friendly dogs, the staffy can be found in many color combinations. 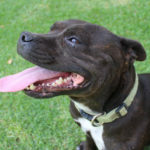 Brindle is just one of the types available. You just don’t know what color combinations you’ll come across with the Staffies. They have such a huge amount of variations possible. Even a blue Staffy can start out blue as a puppy but, over time, they can have shades of brindle come through. 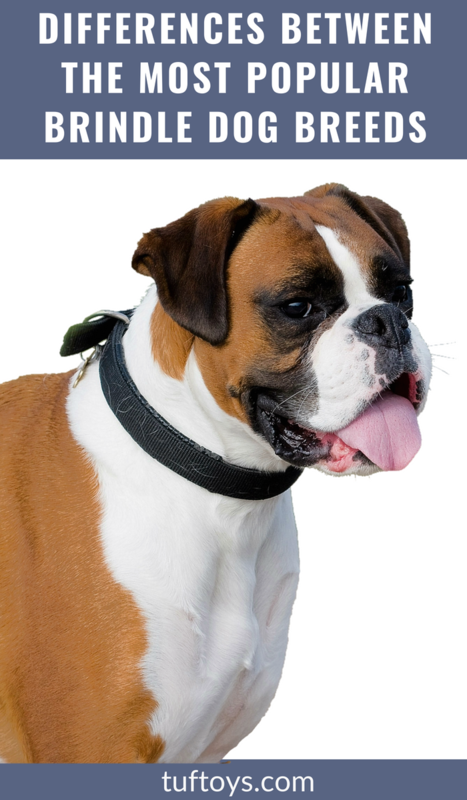 The brindle on a boxer is active and is mainly made up of the color gold, black and white; the white you’ll find on the neck and the paws. Boxers aren’t as popular so you may have to search a bit harder for a great looking brindle one. There is lots of different info on the boxer breed and the varying likelihoods of them having the brindle patterning. Some describe bull terriers as strange looking with their long noses and dark eyes. They do, of course, pack so much fun and personality into their package deal. 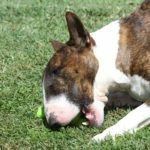 There are around 13 color patterns for the bull terrier, some of which are different brindle blends. Also, like the boxer, the bull terrier has a strong, bold brindle. Great Danes are outrageously big, famously known as one of the world’s largest breeds. Weighing around 200 pounds and growing quite tall, keeping them in small apartments is not a good idea as they need plenty of room, not to mention they drool persistently. Great Danes have a beautiful coat with brindle being their most popular color form but there are plenty of other color combinations the Great Dane is capable of. Greyhounds are fast and often used for racing, so their short coat is ideal for what they get used for. Greyhounds are known for beautiful brindle coats often in points, saddles or an even covering. Whichever way it turns out, the patterning suits them. The Boston terrier is cute in brindle. Standard colors are seal or black, with white markings, but can consist of all three variations. The brindle color for this breed of dog is highly valued. 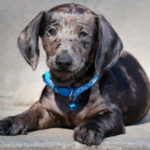 A dachshund is one of the few dog breeds that show brindle combinations but don’t always have short hair. Dachshunds can have long, short or wired hair types. Brindle can show in all three of these hair types. Brindle happens to be in the more common field of colors for dogs of a mixed ancestry. So many dog breeds carry the brindle gene coloration, but some show it and others show none whatsoever. Sometimes you may introduce a pup with a different brindle coloration than what was present in the parent dogs. Although rare, sometimes the color can be completely different. KB/KB: When your dog carries KB/KB, it means the dog has the two copies of the KB allele. A duplicate of the KB allele will be passed on to his descendants. If results say KB/n: This means only one copy of the main black allele has been discovered, hence the dogs coat being black based will not express the agouti phenotype. The dog may transfer the KB allele to his descendants. There is also a chance of a brindle transfer. n/n: In simple form, your dog does not carry dominant KB allele. The coat color will be chosen by the agouti gene. Therefore, they may or may not be brindled. 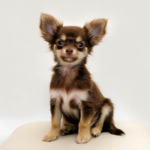 All the dog breeds listed above make fantastic pets and with so many different brindle combinations, it’s worth taking your time to find the one suited to your lifestyle. If you have questions regarding the differences between brindle breeds, do your research and, if buying a pedigree, it’s a good option to purchase a brindle one with papers. 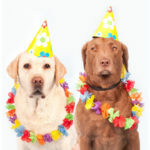 It is necessary, not only to prove the dog is pedigree but with the papers, you can do a search on the family history. Also, it may help to search for your dog’s ancestry and bloodlines to find out more. Brindle breeds differ depending on the genes that have been handed down. This will determine the type of coat they have in terms of whether the brindle stands out proud or sits back relaxed and just mingles among the stronger color. Nonetheless the brindle is beautiful. 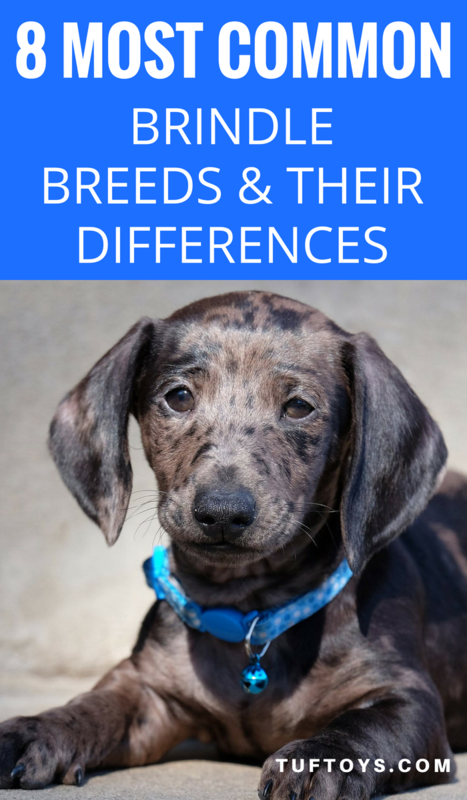 If you are open-minded about what type of dog you would like to own but have your heart set on a brindle, cross breed and mixed breed dogs are worthy of a second look. With regular grooming and quality food, your dog will be showing off their beautiful shiny brindle coat in all its glory! I like that Staffordshire Bull Terrier. This look like mighty dog to me. I didn’t know there’s a brindle dog category! This is really interesting. I have learned about more breeds today,didn’t know about some breeds. I like the boxer breeds. Great to have shared this. I like that the brindle’s origin is something of a mystery. I would probably go with a greyhound or a Boston terrier because I like their colouring and temperaments the best. It’s also cool that brindle puppies can look totally different than their parents. I would love to find out more about them and their different breeds. Our dog is brindled and is indeed a mix breed. It’s a mix of a spaniel and I don’t know the other one. The exact colors are a mix of cream, white and light browns. I never expected to have so many breeds of brindle dogs! Looks like you learn something new every day. Thank you so much for the cool information! I wonder where my pet belongs to? Well I learned something new about dogs today for sure. I like dogs with brindle colors, it add a bit of uniqueness to their coat. Treeing Tennessee Brindle is nice with the black or brown color combination. I like the brindles from boxer, and I like their size and the fact that they can protect me when I go out without my housband.